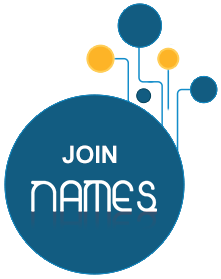 NAMES comprises four categories of members. Full Membership is only opened to not-for-profit institutions and organizations in the North Africa and the Middle East region that can be identified as science centers involved in the promotion of scientific knowledge. Centers must submit a written notification to NAMES Executive Direction, through the corresponding institutional authority, stating their interest in becoming members of NAMES and vowing to assume, support and promote its activities. Full Membership is greanted by consensus of at least two-thirds (2/3) of the Board to the institution or organization as whole and not individuals. Sustaining Membership is not necessarily for science centers themselves but can be granted to other institutions, associations, commercial corporations, private companies, government enterprises, as well as individuals, that share and support the overall mission of the network and demonstrate a strong interest in it. Sustaining Membership is granted by consensus of at least two-thirds (2/3) of the Board. Individual Membership is only opened to: scientists, scholars, researchers and writers or working in the field of science and technology in the North Africa and the Middle East region. Individual Membership does not include institutions and organizations. Individual Members represent their person and not the institution(s) they are affiliated to. Individual Members can participate in the Network's activities but have neither the right of voting nor nomination for the Network's Board of Directors. Individual Membership is granted by consensus of at least two-thirds (2/3) of the Board members. Honory Membership may only be by election of at least two-thirds (2/3) of the Board and must be based on particular merits in the field of science.